First, have you downloaded the Gyazo Application? 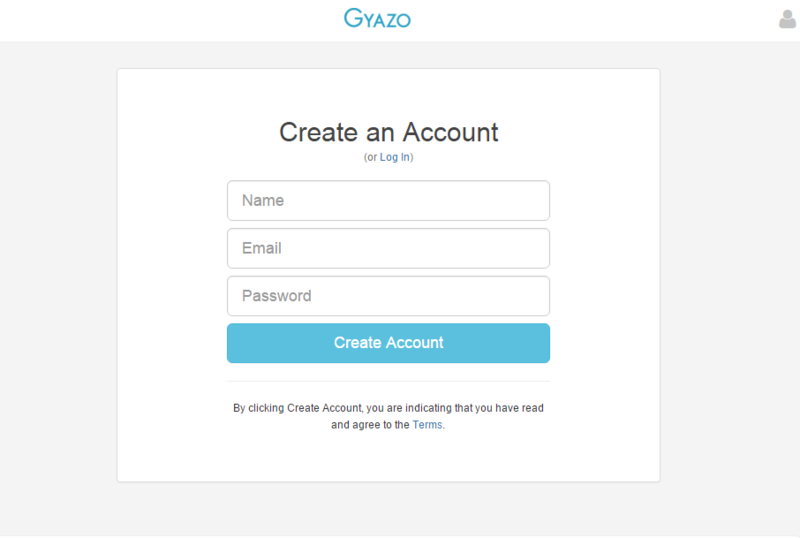 To create an account, please upload an image with Gyazo first. Please refer to this page if you aren't sure how to upload a Gyazo image. 1. When you first upload an image, you will see this screen. 2. Go to https://gyazo.com/signup now. These information can be changed in settings page after you login. 4. After click 'Create Account', you may see this screen. Please click 'Yes(Recommended)' to connect your account with your device. An account could not be created if you cancel this question. If you cancel the question accidentally, the page goes back to previous page and you can click 'Create Account' again.